You can pass activity reference to async task. To handle this situation you can try catch the exception in doInBackground and re-throw it in onPostExecute To handle this situation you can try catch the exception in doInBackground and re-throw it in onPostExecute... 15/07/2014�� So what I do is first I create n number of task with a method, and then another method contains all 264 tasks. So at some time it throws TaskCanceledException at random time, so my all the tasks are not getting completed. 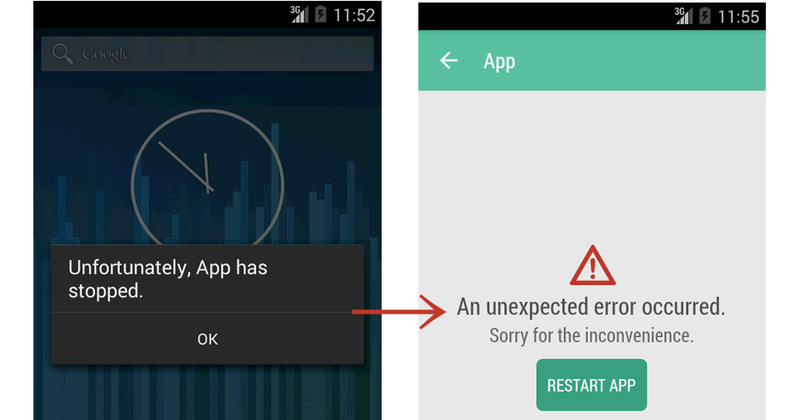 Android Handling Interrupted Exception Of AsyncTask? Hi! I started creating a XF app using a general PCL library and a Android project for the moment. The app communicates with a WebAPI to download/upload some data. My full answer is here, but here is an explanatory image to supplement the other answers on this page. For me, understanding where all the variables were going was the most confusing part in the beginning. My perhaps unwelcome advice is "don't do that". Letting exceptions leak all the way up to the root event loop is a bad idea. If you are in an async void function which you think might throw an exception (which you don't care about) then you should catch and handle that exception. Notice (2018-05-24): bugzilla.xamarin.com is now in read-only mode. Please join us on Visual Studio Developer Community and in the Xamarin and Mono organizations on GitHub to continue tracking issues.